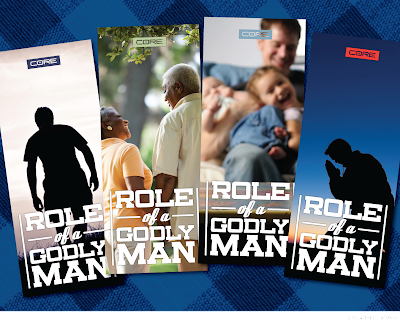 CORE contacted me to design a set of banners for their 2014 theme, Role of a Godly Man. This will be the theme topic for their Men's Breakfasts this year. I created a logotype that could be repeated as a tag on all their promotions. 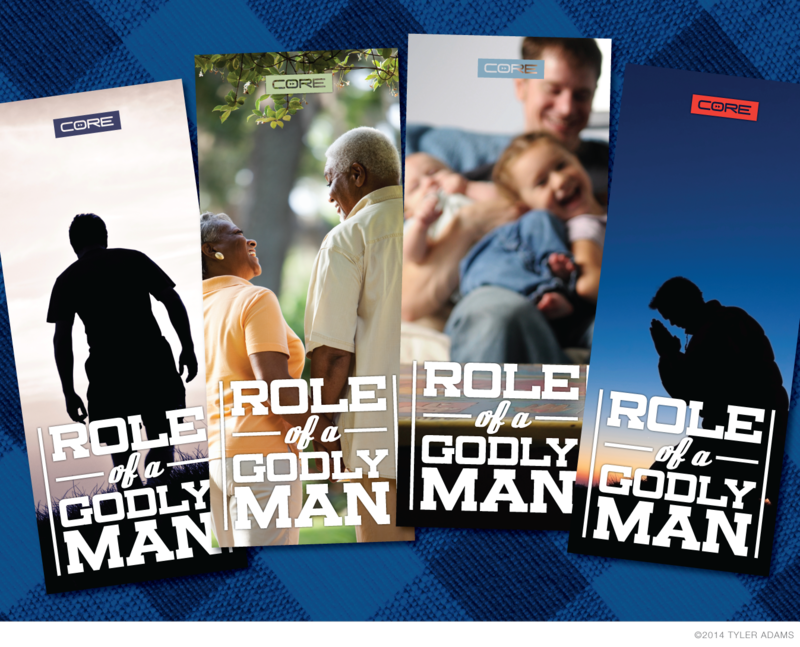 I did not want the banners to all be exactly the same (they requested 4 banners) so I kept the design consistent while changing the main image to reflect different men at different stages of life and in different situations. I tried to represent younger men and older men, married men and single men, and fathers (single or married). I plan on repeating these images throughout the year on the posters and flyers to advertise each breakfast.